The year was characterized by our customers’ increasingly high requirement levels. We had to improve our operational performance, and cope with immediate requests for significant price reductions. There was ever greater competition, in France and abroad, with the arrival of new challengers. In this highly demanding environment, the new tools deployed for managing day-to-day operations and your hard work have made it possible to adapt our organization and production processes. 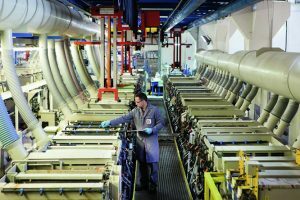 We invested more than €20 million in our plants, transformed and automated our production lines and restructured the management of the Central operations office We also successfully completed our technological development projects, and, in particular, obtained AIRBUS certification for titanium additive-manufactured parts. Last year also saw the creation and launch of WeAre Pacific, which now enables us to offer production solutions in Japan, Thailand, Vietnam, Singapore and Malaysia. Launched three years ago, our strategy of industrial adaptation and deployment through innovation and international development is unanimously appreciated by our customers. Over a very short period of time, WeAre has achieved genuine recognition and established its legitimacy; certain major customers have even presented us with awards acknowledging our strategy and performance. The projects completed in 2018 enable us to provide our customers with a unique range of technical skills and technological resources. This issue of the WeAre newsletter presents some of the best examples of these new industrial assets. Our image is built on that of the family businesses that make up our group and on the « WeAre » brand, especially abroad and in new markets. With this in mind, we needed to redesign the logos of our historical subsidiaries to clearly identify them as belonging to the WeAre Group. These new logos underline our determination to continue building an integrated, solid, sustainable group, which is fully focused on the future, while also acknowledging all those who have contributed to the history of the various sites. Finalization of the industrial and technological upgrading of all our sites. Inauguration of the new Bouy, EFOA, UMPM and Montauban II sites. Moreover, the Montauban II site will house the group’s command center. International development of our supply chain in order to draw on our extensive international presence and pass on the benefits to our customers. Implementation of our R&D projects and deployment throughout our value chain. Finally, the strategy launched three years ago may have seemed surprising in terms of its scope and the speed of execution, but we do not intend to stop there. Soon, we will be presenting and launching the Move To 2022 plan, which will prepare the group to meet the challenges that will transform our industry over the next 10 years. On behalf of the entire management team, I would like to thank you for your commitment and wish you and your families a very happy 2019.
built on shared values and the desire to rise to challenges that take us beyond our borders, while acknowledging all those who have contributed to the history of our various sites. These logos underline our determination to continue building a solid, sustainable, integrated group that is fully focused on the future. Bouy ended 2018 with strong growth (+18%), marked by the creation of the Autonomous Production Unit for hard-metal machining, firmly signally our intention to be a major player in the sector. This fully automated, ultra-competitive production line, with automated tool management, enables us to manufacture all types of hard-metal parts (Titanium, Inconel, Stainless Steel) of less than 800 cm3, regardless of the complexity and the production volume required. Last year also saw major investments to provide additional production capacity to existing customers (15 centers – 4,500m² of buildings), as well as a complete overhaul of operational management and control methods, and the optimization of the system and supply chain management. The site has also set up a hub for distributing materials (Titanium, Inconel, Stainless Steel). Equipped with water-jet cutting machines and solutions, this platform makes it possible to store, cut and optimize the materials for all the group’s plants. In 2019, we will continue to invest in our strategy concerning hard metals by incorporating new technologies at every stage of the production process and we will consolidate our positions with our historical customers. For St Nicolas de Redon [a surface-treatment site], 2018 was a year marked by profound transformations, with a complete review of production flows and the use of lines, the optimization, standardization and automation of masking, and the transformation of the Non Destructive Control division, which was re-structured as a product line. Thanks to the Excellence and Precision project, all the processes were reviewed in order to achieve maximum quality and precision – this project is currently being deployed. Finally, in order to coordinate all the initiatives and improve information circulation, a digital signage system has been installed. The plant has two main information flows: general information about day-to-day life on the site (visits, key indicators, HR information, etc.) and information about the production process (Steel surface-treatment line). 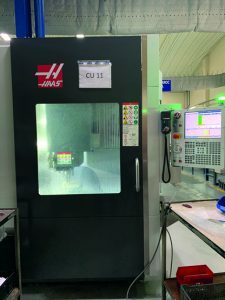 Last year, the COMEFOR site successfully completed several projects aimed at optimizing its industrial processes, securing resources and developing staff skills to meet the needs of the aerospace market more effectively. 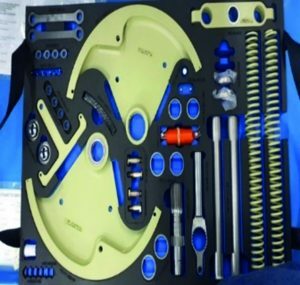 The site also launched its tooling division, serving the needs of the group and certain customers. COMEFOR accelerated the deployment of its Defense market strategy in order to support its long-standing customers in this growing market. 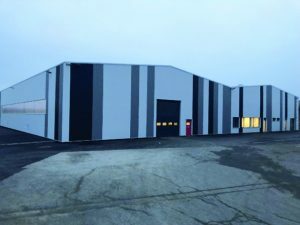 For Herbignac, In 2018, there was a complete industrial overhaul of the site, along with the creation of a new 4,000m² milling building, the general transition to product lines, the optimization and standardization of production and the control department new organization. The site also trained and then hired 18 job-seekers, and also trained its managers and coaches for new recruits. 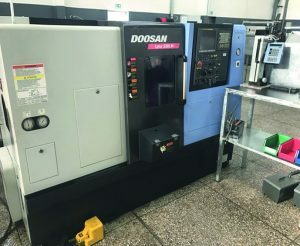 In addition, the site pursued the overhaul of its lathing division (already in progress) and it should be a benchmark « factory of the future » within two years. Allocation of tasks to specific machines to significantly reduce changeover times (divided by four) and thereby increase the plant’s production capacity by making best use of the existing resources. Launch of the Services Division in Saint André des Eaux. On January 29, 2018, Espace in Saint André launched its Services Division with its new team. It provided an opportunity to remind everyone about the new structure’s role, its key challenges and objectives, and also to present the entity’s first success stories in 2018 and the outlook for 2019. Representatives from the WeAre Central operations emphasized the key role that the Services Division will play within the group, in terms of both business and OTD performance. 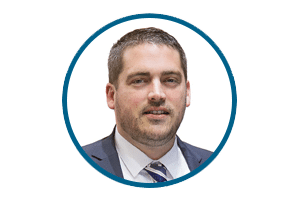 Julien CHATAL and the 40 people who make up this new team now provide a service offer that meets AOG/Spare-part/One-shot/Short-program/Work-load-shifting requirements. The model has already proven its relevance through its initial commercial successes, in businesses that are perfectly aligned with our strategic targets. Congratulations! We wish the Services Division a great future! Following a period of intense collaborative work and great commitment from all the Business Units, and to get 2019 off to a great start, we are proud to announce that the WeAre Group has completed its maiden Design-and-Build project with the delivery of the first mass-produced on-board cabin Tablet Holder for the A380, made using additive manufacturing, to be used by the Japanese airline ANA. 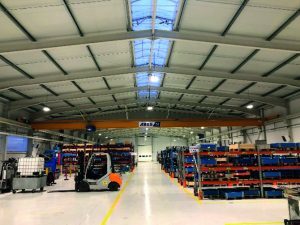 This project required three years of collaborative development between AIRBUS and WeAre Engineering, PRISMADD and the other WeAre Group sites. Both partners’ strong commitment to innovation made it possible to develop a unique product that combines the group’s expertise and technologies: design of 3D-printed plastic parts, optimization using a lattice structure, insertion of high-precision metal mechanisms, development of a cabin-quality metal-finish paint, design and management of the entire industrial process and creation of automated test benches to qualify the system. 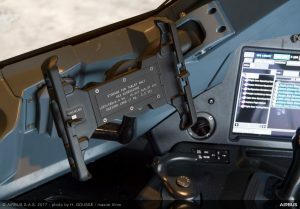 The hard work and creativity of each person involved made it possible to launch the first EASA-certified, 3D-printed system for cockpits in the aeronautical market on January 18, 2019: the Electronic Flight Bag system. This success is a key milestone for the group, which has made additive manufacturing one of the priorities of its industrial innovation policy. In 2018, this policy enabled the group to qualify titanium, Inconel and polymer production processes (FDM and SLS) for the largest players in the aeronautical sector, mass-produce additive-manufactured parts for the cosmetics and defense sectors, implement major redesign or development projects for complete systems, and deploy the 3DTrust software solution, which manages the entire process from A to Z. So, we wish the Tablet Holder a long and happy life on-board! 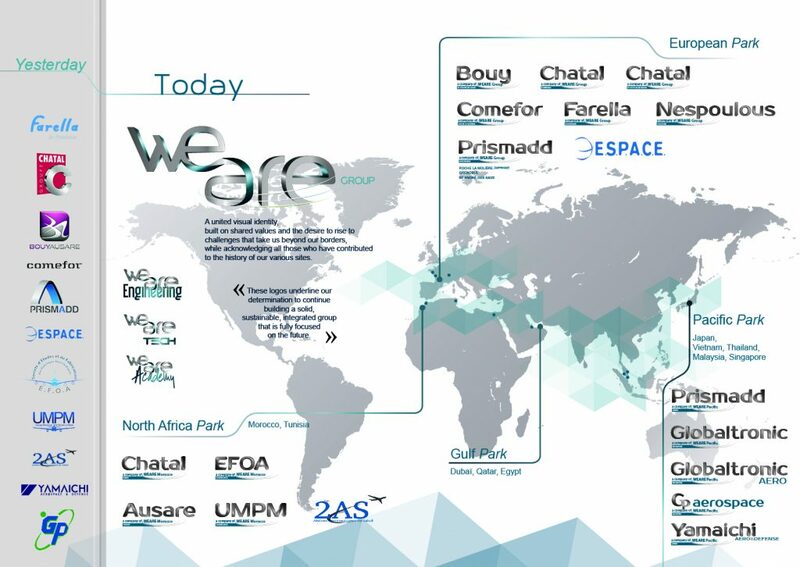 the Farella family at WeAre, with a particular mention for Alain and Gilbert Farella and their teams, as well the sites of ESPACE, CHATAL, PRISMADD, WeAre Engineering and the Weare Central operations. And at AIRBUS – Geneviève Schubetzer, Bruno Alquier and Philippe Lagain, along with the Design office and Qualification teams. 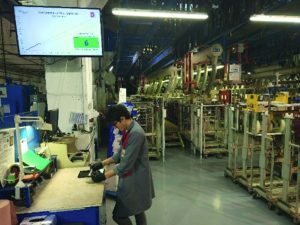 For the Toulouse site, the year was marked by its efforts to optimize production in order to respond to price decreases, by the arrival of the site’s first engine parts and the consolidation of its machine facilities. The year ended with growth of 2.5% and saw several important initiatives for the future. These include the optimization of the use-rate of the industrial facilities, the industrialization of complex parts for the defense and additive-manufacturing markets, and an increase in operational excellence thanks to the implementation of new management and performance monitoring tools. 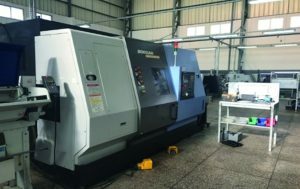 The site also launched projects to optimize its machining processes and prepared for the transition to product lines. 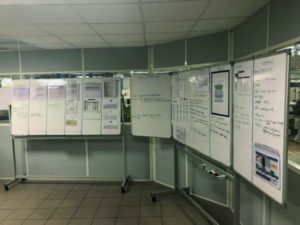 The Room solution – a communication and continuous improvement management tool – is now a central component of the site’s management system. Optimization of production change-overs by creating specific families of parts to increase productivity in order to remain attractive in highly competitive markets. In 2018, UMPM was able to demonstrate all the site’s strengths. Speed, flexibility, competitiveness and focusing on performance made it possible to develop a new Aerostructure market. Thanks to the in-depth work carried out by the teams and the extensions planned for 2019, we can confidently predict that UMPM will be the reference site for milling in Morocco within a few months. Integration of a new digital control system for the production launch of contracts won in 2018. 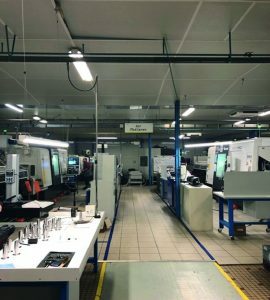 For Raouf Moustahssine, the factory of the future is already here! 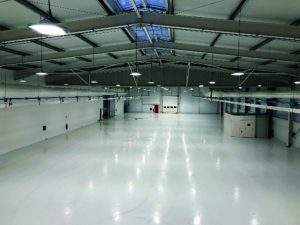 What strikes you when you enter EFOA’s new building (delivered at the end of 2018) is the ingenuity of the site’s manager and teams in designing and building an entire factory focused on productivity! Automation, simplification of flows, digitization of monitoring, etc. Everything has been designed to achieve maximum efficiency and product quality! 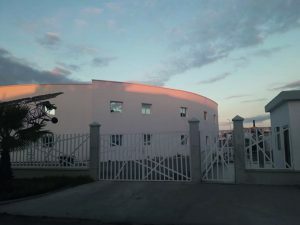 In 2018, CHATAL incorporated new equipment and launched several projects (restructuring, skills development) to improve the site’s performance, successfully complete its industrial transfer projects, prepare for growth and contribute to the competitiveness of the group’s product and service offer. Incorporation of digitally-controlled lathes to handle the production transfers with Ratier Figeac, and new developments with Airbus and Le Piston Français. In 2018, the site experienced a steady increase in its production rate, which secured the future of its facilities, developed synergies with other sites and prepared for future transfers. The site has become a real asset for the group. 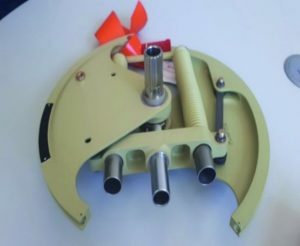 Development of the assembly activity with an increase in the quantities of A320 Thrust Box and the launch of a new A320 cable tensioner project. We have probably given you enough news for one day, so we’ll leave WeAre Pacific and its production sites in Japan, Thailand, Vietnam, Singapore and Malaysia for later! We promise the next newsletter will focus on our international activities!